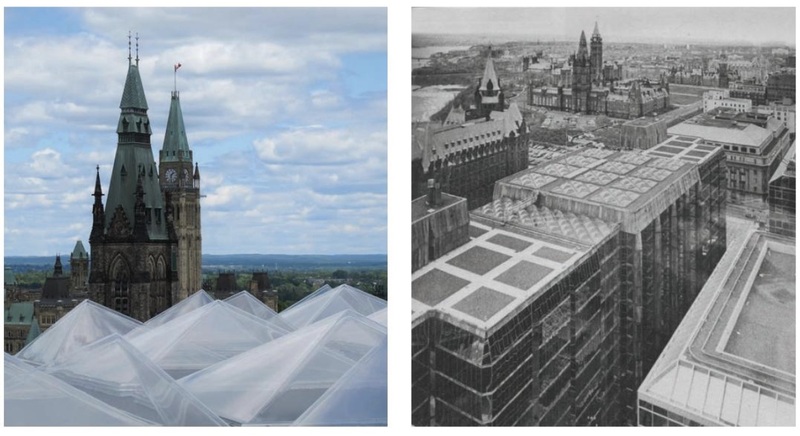 Left — The skylight covers at the top of the atrium were remade from the 1970s molds, which had been preserved by the supplier. Photo by John Potter. Right — A view of the Bank of Canada complex in 1978, soon after its completion by Arthur Erickson. Photo by Macy DuBois.